Stuffed Animals for Kids in Crisis; Children's Dental Health Month Links Between Gum Disease and Alzheimer's? Dr. Stefano loved being part of Mr. Seller's Leadership Class at McCormick Junior High School to to talk about service, gratitude, and the power of the handwritten thank you note! Whenever you have a chance to be a part of the next generation, take the opportunity! Dr. Stefano recently visited our local junior high school to talk about giving back and being responsible to their community and their planet. When you can mentor a child or inspire a child to lead by example, you're grooming the next generation of leaders and fostering a generation to empathize and care about others. Leaders aren't about bulldozing forward for themselves, rather leaders can only lead when they have others to lead. So moving forward as a team and group is really what good leadership is about. Dr. Stefano talked about including and unifying people, rather than separating people by differences. By seeking to understand others point of view and other's life experiences, we gain a greater understanding of ourselves, our neighbors and our world. But to understand, we need to listen. And effective communication starts by listening, patiently and intently. Listening to understand is much different than just hearing someone speak. 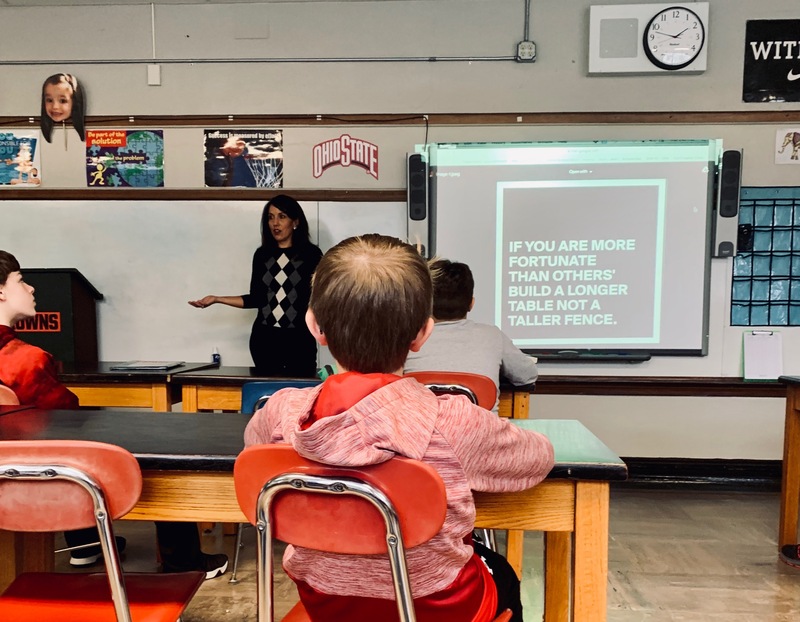 Dr. Stefano talked about her office's random acts of kindness, and shared how students could do very simple gestures to show kindness---maybe it's smiling at someone new, sharing something or just saying hello. The key to being a leader is to realize that you're helping others become leaders too. Give back, and lead.